Residents of a Nigerian shantytown on Saturday (18 March) spoke of “losing hope”, a day after security forces used gunfire and tear gas to make way for demolitions in defiance of a recent court order, according to reports. Rights groups described the clearing as a ‘‘violation of human rights’‘. 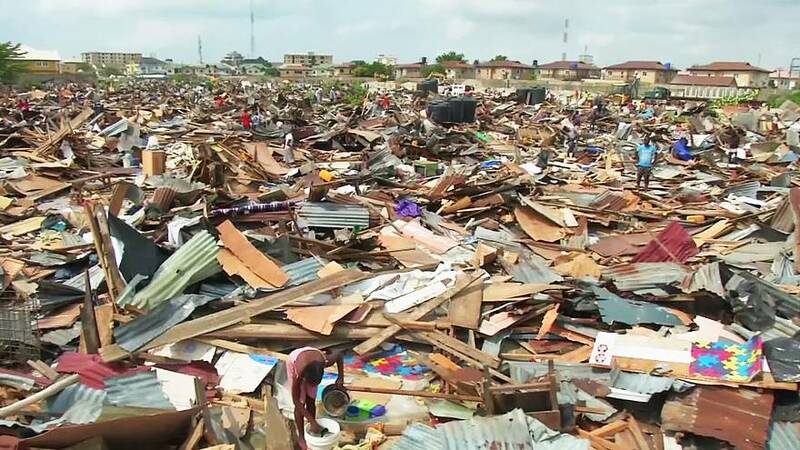 Thousands of people are reported to have fled after bulldozers destroyed homes in the Otodo-Gbame waterfront community of Lagos. In early November 2016, over 30,000 residents were evicted from the community. Residents had rebuilt their structures, despite continued pressure from private authorities and security personnel to evict them from the land.